Lorenzo vs. SEC, Dkt. No. 17-1077 (U.S. Sup. Ct., 3/27/19). SEC Rule 10b-5, the enabling rule for the primary antifraud provision of the federal securities laws, section 10(b) of the Securities Exchange Act of 1934, deems it unlawful, among other things, to “make” a false statement about a material fact. In 2011, in Janus Capital Group, Inc. v. First Derivative Traders, the Supreme Court (5-4) construed the word “make” within the meaning of the Rule 10b-5(b), and ruled that “the maker of a statement is the person or entity with ultimate authority over the statement, including its content, and whether and how to communicate it.” While that decision profoundly limited the type of defendant who could be primarily liable under Rule 10b-5(b), post-Janus lower courts have been divided over whether its holding applies to claims brought under subsections (a) and (c) of Rule 10b-5. Lorenzo resolves that division in favor of finding primary liability under those subsections, even in a case where a defendant was not the maker of a false or misleading statement. In Lorenzo, the SEC brought enforcement proceedings against Francis Lorenzo, director of investment banking at an SEC-registered firm, his employing firm and the firm’s owner, alleging they were primarily liable under Rule 10b-5(a) for sending— at the owner’s request—two allegedly false and misleading emails to prospective investors regarding a debenture offering. The Commission found Lorenzo liable under Rule 10b-5, because he sent the emails from his own email account. Lorenzo challenged the SEC’s finding before the Court of Appeals for the District of Columbia Circuit. The D.C. Circuit concluded that Lorenzo was not the “maker” of those statements, because his boss, the owner of the broker-dealer who “approved” the statements, had ultimate authority for their content. Thus, Lorenzo could not be primarily liable under subsection (b). However, the D.C. 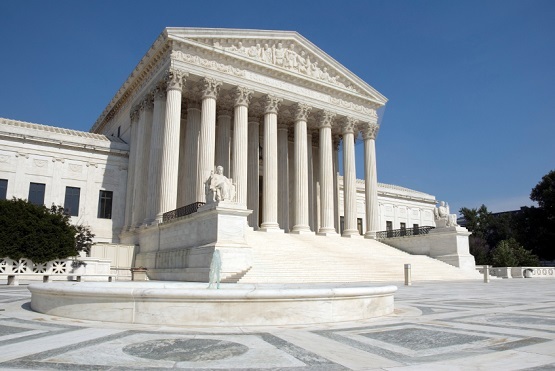 Circuit reasoned that he could be primarily liable under subsections (a) and (c), which do not include the word “make.” The Supreme Court granted a petition for certiorari, and, in a 6-2 opinion authored by Justice Breyer (joined by Justices Roberts, Ginsburg, Alito, Sotomayor and Kagan), affirms the D.C. Circuit. The Court concludes that dissemination of false and misleading statements with intent to defraud can lead to primary liability under subsections (a) and (c) of Rule 10b-5 even if the defendant is not a “maker” of the statements under Janus. Because Lorenzo played an active role in furthering the fraud by including the false statements in emails he sent directly to investors, he employed a “device, scheme or artifice to defraud” under subsection (a). Additionally, sending the false emails constitutes an “act … which operates …as a fraud or deceit” on potential investors, within the meaning of subsection (c). As a result, the Court affirmed the SEC’s findings against Lorenzo. In a dissenting opinion, Justice Thomas (joined by Justice Gorsuch; Justice Kavanaugh took no part in the consideration or decision of the case) disagrees with the SEC’s broad views of the securities laws and argues that the majority’s decision “eviscerates” Janus. Justice Thomas reasons that subsection 10(a), by its terms, prohibits a “device, scheme, or artifice,” all conduct that “connote[s] knowing or intentional practices.” Because sending two emails is not “conduct involving planning, scheming, designing or strategizing,” the dissent contends that Lorenzo’s conduct is not covered by subsection (a). Similarly, the dissent contends subsection (c) also does not cover Lorenzo’s conduct, because that section was designed to prohibit acts not covered by subsection (b). In sum, the dissent argues that, as a matter of statutory construction, each subsection of Rule 10b-5 was meant to cover separate kinds of conduct, not overlapping conduct, and thus should be applied in that vein.